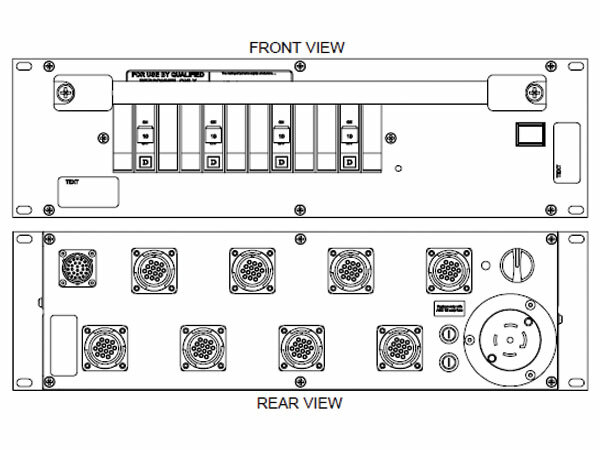 Our rack mount option, affectionately referred to as the Moto Pac, takes our standard modular control components and packages them into a 19” 3RU NEMA 1 enclosure. 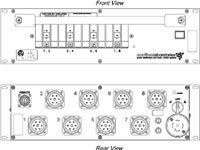 As a purpose built four to eight channel controller, the output connector offer is limited to multi-pin options such as P7, P14 and C7. Moto Pacs are controlled by a standard Motion Labs hand held remote, front panel mount control, or a combination thereof. 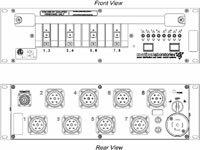 If you need more than eight channels of control you can put multiple units in a rack and employ a larger hand held remote to control the entire rack. 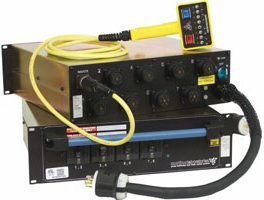 The concept of self-contained rack mounted devices allows you to add or subtract units as you need and combine controllers with other 19” rack equipment such as power distribution, load cell displays, external position control or e-stop systems. The input for the Moto Pac can be a panel mount twist-lock or a retractable twist-lock tail. 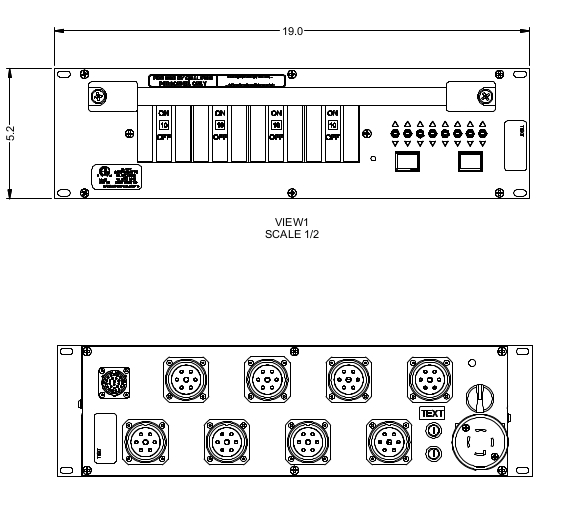 ETL Listed, 8 Channel Controller, L22-30 Input, C7 Multipin Power and Control, Installed In a Fully Enclosed 3RU, 19" Rack Mount, Chassis Depth 15"
ETL Listed, 8 Channel Controller, L21-30 Input, P7 Socapex Multipin Power and Control, Installed In a Fully Enclosed 3RU, 19" Rack Mount, Chassis Depth 15"
ETL Listed, 8 Channel Controller, L21-30 Input, P7 Socapex Multipin Power and Control, Front Panel Local Remote Control, Installed In a Fully Enclosed 3RU, 19" Rack Mount, Chassis Depth 15"
ETL Listed, 8 Channel Controller, L21-30 Input, P14 Multipin Power and Control, Installed In a Fully Enclosed 3RU, 19" Rack Mount, Chassis Depth 15"